Ultra buenos Aires (Main Stage), Winter Music Festival, Creamfields, DMC, Red Bull Threestyle & many more. Hernán Paredes (DJ & Producer), is an emerging artist on Argentina’s electronic music scene. Hernán’s DJ sets are characterized by their dynamism and techno style. He mixes styles such as tech house and techno, with experimental sounds, acapellas, scratches, and effects. 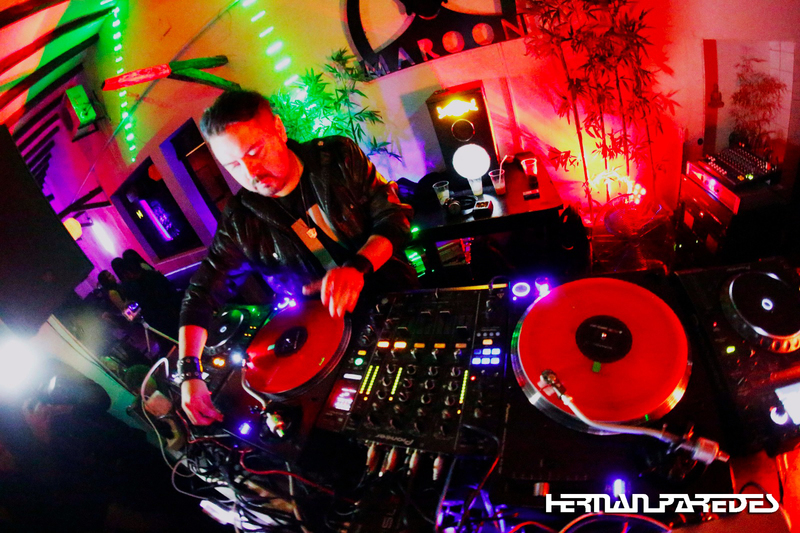 In 2016 Hernan founded MUSIK, his own music academy, where he teaches classes and courses related to DJ’ing, musical production, piano, electronic percussion and many more. MUSIK is the best DJ academy in Argentina, training students of all ages and teaching to create great music. He also teaches in workshops and conferences around the world talking about subjects related to the DJ world, turntablism, and music production. -Red Bull Threestyle (Dj Competition) Argentina Champion & World Finalist. As a producer he focuses on generating sounds with a tech house and techno influence, and a massive groove, perfect for the dancefloor. His releases are supported by various artists like Armin Van Buuren, Cosmas Epsilon, Tony Thomas, Hernan Cattaneo, T. Montana, Thomas Penton, John Acquaviva, DJ Thee-o, Ladies on Mars, Curtis and Dakota, Glenn Morrison, Elio Riso, Carl Cox, Ingo Voguelman, U-Facilities, Satoshi Tomiie, Emrah Campolat, and many more. His music can be found in major record stores virtual world: Beatport, Juno (Uk), Amazon, Dj Download, Audiojelly, 3 Beat Digital, Wassa Rec (Japan), Resonant Vibes, Resident Advisor, and others. He edited his tracks with several record labels worldwide: Shiva (London), BRM (Mexico), Peak Hour Music (USA), Progress Rec (UK), Worldwide (Romania), Total Wipes (Italy), Bellarine (Australia ), Music Traxx, Headrush (NYC), Omnis (USA), Reticent Rec, SONY ATV Publishing, and more. DJ career: He start at 1993 as a DJ. The house and techno music of that time marked his musical tastes. As he developed, he generated a very particular technique for his live performances. He has played at many clubs in Argentina (Pachá, Mint, Bahrein, Opera Bay, Avalon, V8, Circus, Big One, Requiem, and many more) and around the world (USA, Madrid Spain, Ibiza Spain, Mexico, Brazil, Chile, Bolivia, Uruguay and more). In 2012 Hernan Paredes won the Red Bull Threestyle Championship in Argentina – USA, and he became to world dj finalist. He has taken part in very important world DJ competitions, including DMC Argentina, the Beatmachine and Spin Off Scratch, competitions of the Winter Music Conference Miami, where he gave scratch and mix performances live. From 2004 to 2016 he was a DJ instructor at SONICA, first South America’s electronic music school. Hernán created Young DJs, a very important electronic music movement that brings together DJs, producers and other electronic music artists.